NOW CONTAINS NEARLY 500 GRAVES-GROUNDS ARE WELL KEPT. This editor was among the large concourse of friends who attended the funeral and burial of the late R. G. Welsh at the Altoga cemetery, ten miles northeast of McKinney, on the afternoon of Thanksgiving day. The first interment in that cemetery was made just forty-five years ago. At the present time, we were told that it now contains nearly five hundred graves. The first person to be buried there was Mrs. Elizabeth H., wife of John Mantooth, who died November 22,1881. She was the mother of Woots and Bill Mantooth and of Mesdames J. A. Moreland and L. T. Moreland, all prominent Altoga Citizens and early settlers, now all four deceased. She was the grandmother of Dr. John T. Mantooth, prominent Altoga physician and surgeon. 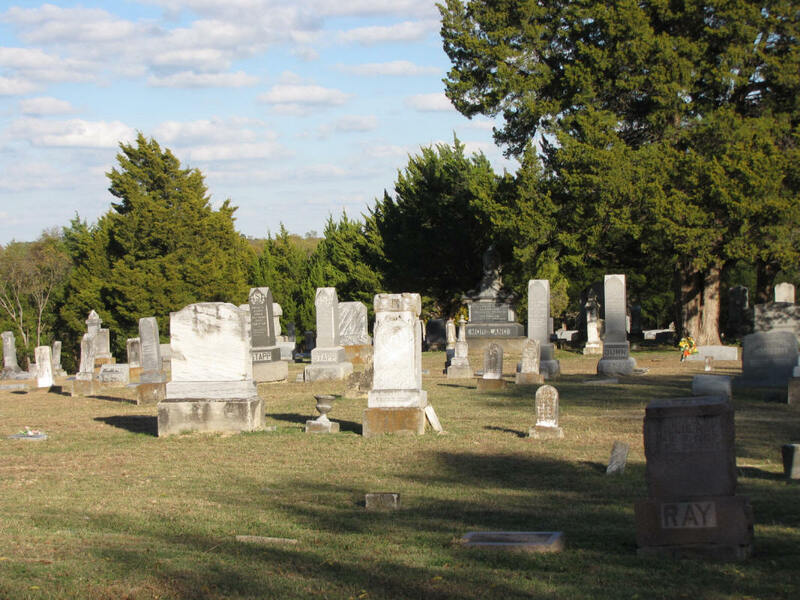 The Altoga cemetery is located in the southeast suburbs of the village on the farm of the last Bill Mantooth. The location is an elevated, gently sloping one, and is ideal as a place of sepulcher for Altoga and a wide radius of surrounding territory. The dirt is of a graying color, unusually well adapted for excavating purposes. No rock is encountered and graves are easily and quickly dug by the use of the spade and shovel only. The drainage is also most desirable. Near the entrance of the cemetery, a large memorial tabernacle has been erected and comfortably seated. The sidings are swung on hinges and can be lowered or elevated according to the state of the weather and prevailing temperature. In our opinion, every cemetery should build and equip such memorial auditoriums for the use and protection of the public against the varying weather conditions. Joe Bagwell is sexton of this old cemetery, which he keeps clear of weeds and grass and which presents a most creditable appearance. However, it is a pity that the founders of this otherwise ideally located cemetery, did not plot it in the beginning into a better system of lots, street and passageways running through it. As this was not done, the graves are not in as orderly arrangement as they otherwise would have been. Many old settlers are buried there. Some of their graves are marked by imposing tombstones and monuments. TO THE SOUTH AND THE ARDATH COMMUNITY TO THE WEST. HUMBARD MANTOOTH IN NOVEMBER 1881. ONE-THIRD ACRES WERE LATER ADDED TO THE SITE. WORLD WAR I, WORLD WAR II, AND THE KOREAN CONFLICT. IT HAS FOR MORE THAN A CENTURY. The tabernacle, sometimes called a shed, was erected in August 1914. According to Lee Stiff, the shed was built under the supervision of Riley Moore of Chambliss and it took about a month to build. The builders were: Green Johnson, Al Lawson, Elmer Lawson, Roe Lawson, Will Terrell, Luther E. Mitchell, and Lee Stiff. The lumber was bought from the Wilcox Lumber yard in McKinney. An article, describing the tabernacle, appeared in the McKinney paper June 23, 1918, the obituary of Jeremiah Lawson. ALTOGA ENTERPRIZE – Large, cool, Tabernacle In Cemetery for Funeral Assemblages. One of the editors of these papers attended the burial of the late Jerry Lawson at the Altoga cemetery 9 miles northeast of McKinney, Friday afternoon. The attendance was large from the Atloga vicinity where the deceased resided for many years and was held in high esteem. 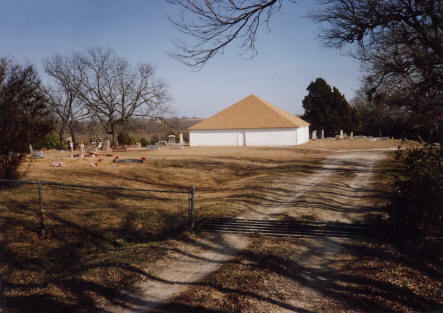 Funeral services were held under the large shed or tabernacle in the cemetery by Dr. J. J. Pierce, assisted by Dr. E. B. Fincher, both of McKinney in which city the deceased resided during the last six years of his life. The day, the longest of the year, was an extremely hot one, but the sorrowing relatives and friends were sheltered from the burning rays of the sun by the big covered shed which admitted the breezes from any direction from which it might be blowing as it is open on all sides. The shed look to be about 40 foot square, with high conical roof and is an ideal accommodation in which to hold services in the cemetery, protecting the mourners from the elements of whatever character. Altoga’s Enterprize in this respect is unsurpassed by that of any other town or community in the county. It could be modeled after with profit by an town or community any where in our county.